We have a wonderful selection of interiors at The Old Flight House. 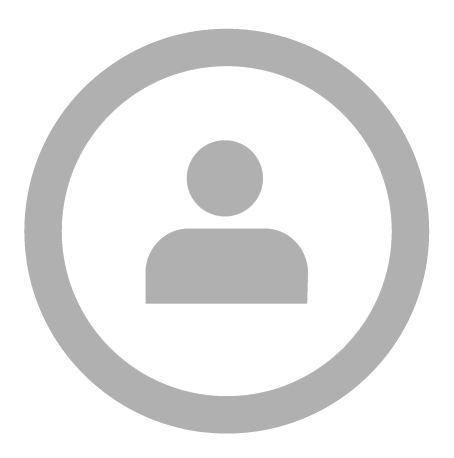 We are lucky to have a host of interior designers who showcase their interiors pieces for purchase. 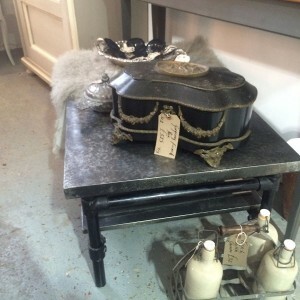 Here are some of our favourite pieces currently for sale at The Old Flight House. 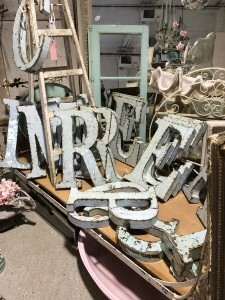 These large metal letters look wonderful in light spaces. Each one is unique and made by hand. 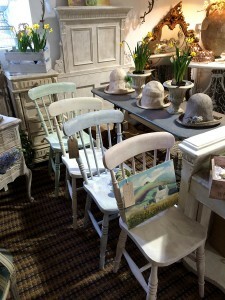 Painted pastel chairs to bring some colour into your home. Sold as a set of four. 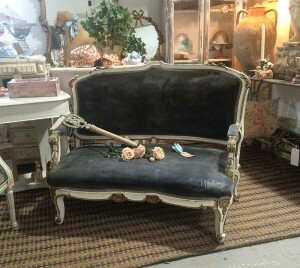 Beautiful French two seater sofa. This sofa is another to add a touch of elegance to any room. 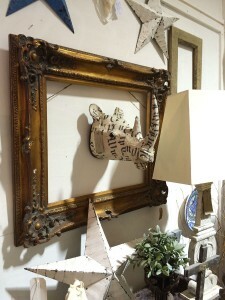 Decorative rhino head in canvas with frame. 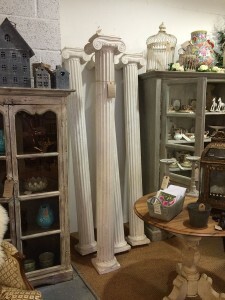 Corinthian columns available in a set of four. If you would like to see more of our interiors, visit our interiors pages, or visit the centre to take a look around.